India is a country of various cultures, traditions and religions but one thing that unites the people of this country is their love for tea. No matter where you travel in India you are sure to be served a hot cup of tea. People here believe that it is a way to welcome guests and to get the conversation going. There are various types of tea that are available and travellers can drink this beverage any time of the day. The best way to understand the secret of this drink is by travelling to those places where they are produced and packaged. Here is a guide to the five best tea plantation destinations in India where you can head to and unravel the secrets behind the aromatic flavour and taste of this beverage. Tea estate hopping is one of the best ways to get aroundDarjeeling.Pick up some of the best tea in the world as you travel along here. Darjeeling's tea estates are responsible for exporting some of the best quality Indian tea to foreign markets. The Happy Valley Tea Estate is one of those places where the administration allows tourists a trip around the facility. 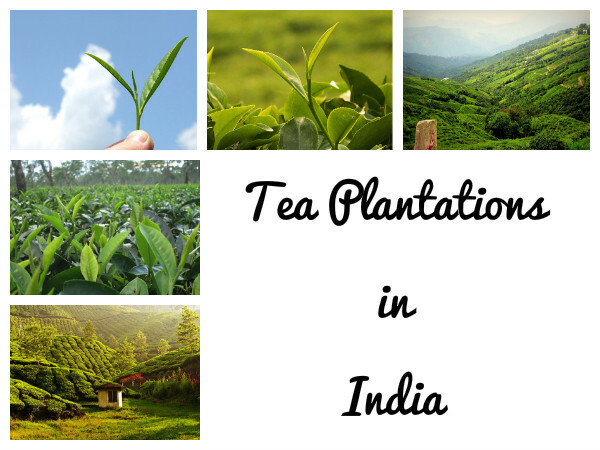 Walk along the tea estate and know more about how the tea is planted, harvested and processed. Also enjoy the scenic views of the hill station, as you sip on some freshly brewed tea! The Cinnamora Tea Estate is the first tea garden in Assam and was established here in the year 1850. The picturesque tea garden is a ravishing green during the peak harvest seasons. It's a treat to walk on the narrow lanes bounded by short tea bushes. If you want to learn how tea is harvested, the Cinnamora Tea Estate is one of the ideal places to learn it. With happy and welcoming tea workers, talking to them and learning isn't difficult. Explore the many attractions that this state has to offer you and be sure to take a pack of the aromatic tea leaves when you head back home. The breathtaking landscape that constitutes this hill station comprises of never-ending tea plantations. Some of them are also conceived to be the highest tea plantations in the world. Enjoy the beauty and attractions that the hill station of Munnar has to offer, and be sure to have a hot cup of tea as you explore this scenic hil station. There are many estates here that offer tea tours and tea tasting experiences too. The tea gardens are the prime attraction for the travellers visiting Palampur in Himachal Pradesh. Spread across several acres of land, these flourishing tea gardens are a source of livelihood for the majority of locals in the region. Tea plantation was initiated here in the middle of the 19th century. The variety of tea growing in the region is known as ‘Kangra Tea'. The tea produced in the region has been sold under many renowned brands like Darbari, Bageshwari, Bahar, and Malhar. All these brands have been named after the ragas of Indian music. Enjoy the scenic beauty that Himachal Pradesh has to offer you and sip on the hot aromatic tea while you visit the various attractions here. Guernsey Tea Factory is one of the principal producers of Nilgiri Tea. Any visit to the Nilgiris is incomplete without tasting its famous tea. So what could possibly be better than to make a trip to the very source of tea plantations and taste the unique blend that can be found nowhere else in the world! You can buy freshly prepared tea powder from this factory as well as drink some tea made at the factory itself. The working hours of the factory is from 8:00 am to 6:00 pm and it is open to visitors. A tour of the factory is a must, as it offers the tourists a firsthand view on the various aspects of making tea, right from bringing in the raw produce to the final stages of processing. Guernsey Tea Factory charges a nominal entry fee per person. Those travelling to the the Nilgiri Hills should certainly make it a point to visit the tea factory. Also, do enjoy the scenic beauty of nature that surrounds you.